Nineteen new species of a tree-living praying mantis family have been discovered, tripling the group’s diversity at a stroke. 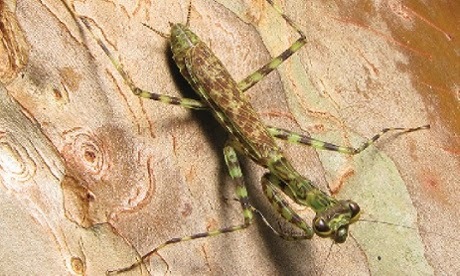 The bark mantises (Liturgusa Saussure) from Central and South America were found in tropical forests and among specimens kept in museums. Many of the newly described species are known only from a few specimens collected before 1950 from locations now heavily impacted by agriculture or urban development. “Based on this study, we can predict that mantis groups with similar habitat specialisation in Africa, Asia and Australia will also be far more diverse than what is currently known,” said Dr Gavin Svenson, curator of invertebrate zoology at the Cleveland Museum of Natural History in the US.